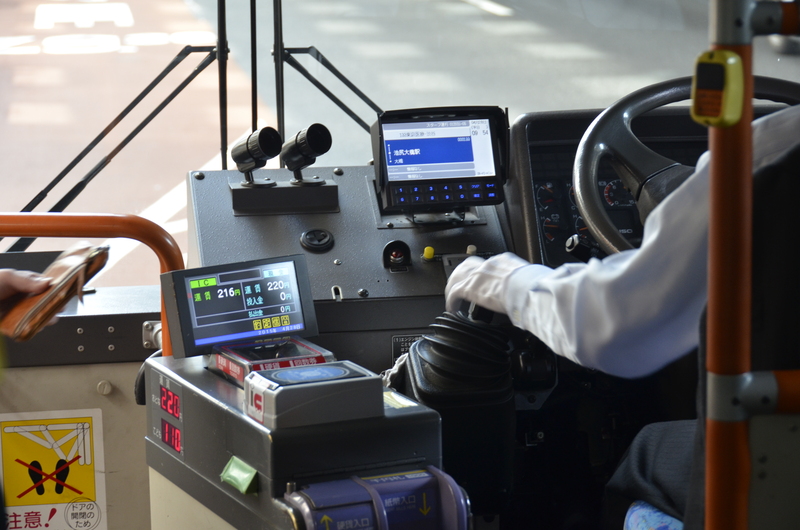 In addition to the extraordinary train service, Japan also has excellent bus systems. For a foreigner, it can be intimidating your first time riding a bus. Do you pay while boarding or upon exit? Do you board at the front or the rear? This can vary, so you can ask, or simply watch and follow others. 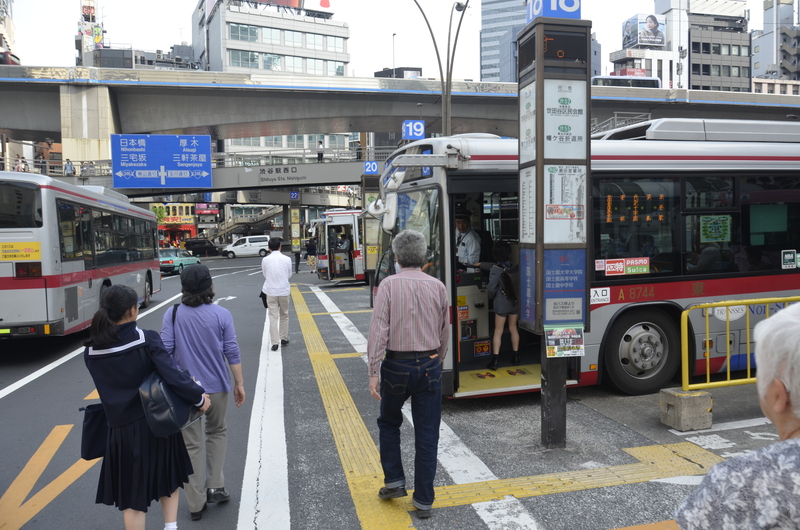 Since Japan has right-side steering, just boarding the bus on the left side took some getting used to. On most of the city buses I rode, you pay as you exit. 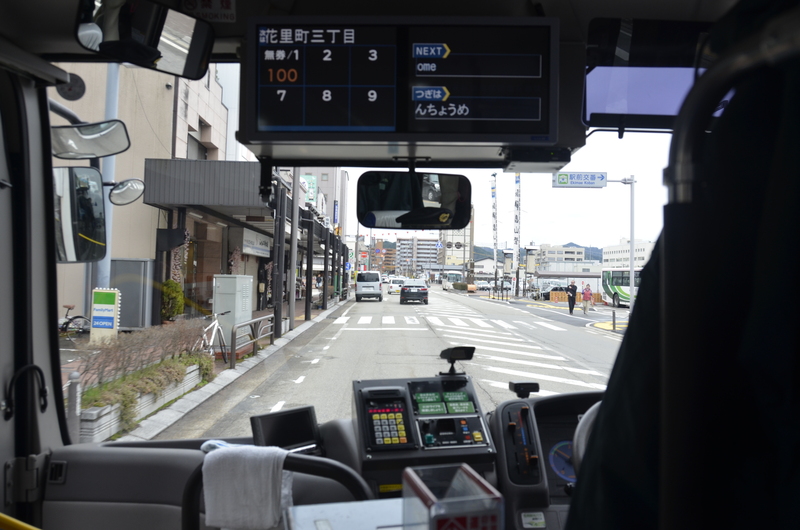 A bright display at the front of the bus shows various fares, depending on the stop at which you boarded. You simply make note of the stop you got on, then watch as your fare increases the farther you travel. When you exit, you pay the fare indicated on the board. All the bus drivers I saw wore white gloves and had a microphone. Every time the vehicle started up, they politely warned people to hold on because the bus was about to move. Many buses would shut off completely when stopped at a traffic light or stuck in stalled traffic. It reminded me of the first times I rode in a hybrid automobile and the unsettling feeling when the car shut down at a stop light. I experienced anticipation and worry that the vehicle would start up without delay when the light turned green. On a bus the feeling was even more pronounced. A running bus rumbles and vibrates quite a bit and when it shut off, the entire bus became ghostly still and silent. It was remarkable to have so many people in a small space suddenly sitting in silence. Then the light turned green, the bus fired up and we were underway again. 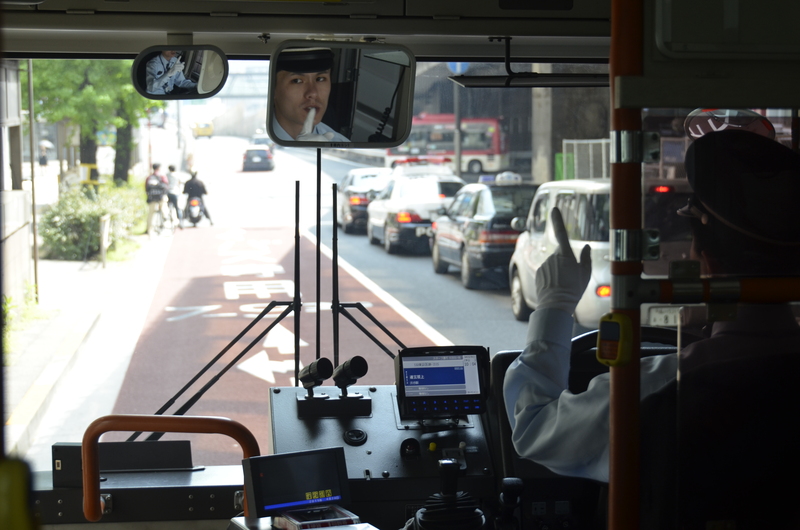 Another thing I observed that really impressed me was what the bus drivers would do every time they stopped to pick up passengers. Just before he (all the drivers I saw were men) would pull away from the curb, I would notice his white gloved left hand make three waving gestures in the air. It took me a while to figure out what he was doing. It turns out he was pointing at each of his three rear-view mirrors (left side, center, and right). He was checking them for traffic and pedestrians before pulling away from the curb. I am sure most professional drivers check their mirrors, but to see this exercise diligently and conscientiously carried out after every stop was impressive and reassuring. I remember my first bus ride in Japan very vividly. We were taking a highway bus from Narita Airport to Yokohama. It was a 1.5-hour ride, and we went through many toll booths. Like many toll booths I have seen elsewhere, they were automatic and you could roll through them without stopping. Although most tollbooths like this had a recommended drive-through speed of 20 kph (12 mph), this bus never seemed to slow down that much. Although I was sure the bus driver was competent, I gripped my armrest tightly as we bore down on each tollgate crossbar. It always seemed like we were less than a meter or so away before the crossbar would spring up and we would drive through. I never got used to that. Speaking of drive-through tollgates, most automobiles are equipped with a tollgate pass device, either on their dash or in the glove compartment. 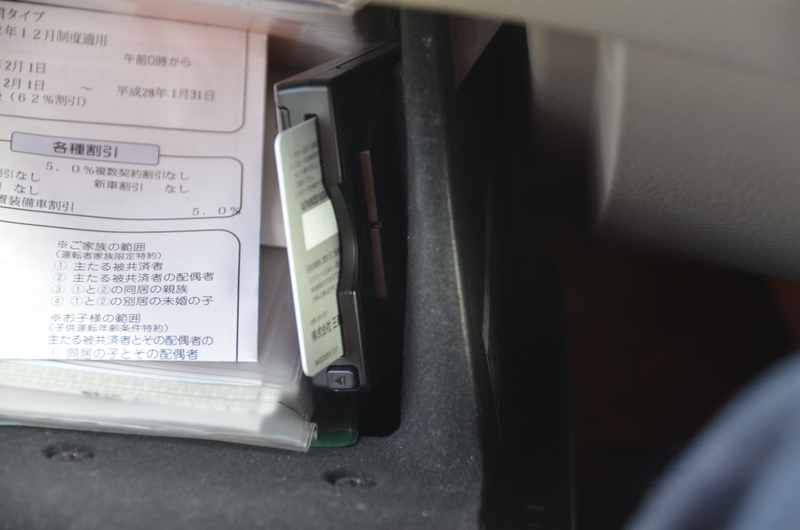 You insert a credit card into the slot and as you drive through the tollgate, your card is charged. Although I have seen FastPass tollgate boxes in rental cars in the U.S., they usually send you the bill after your rental has been completed. I have not seen any that directly and immediately charge whatever credit card you happen to insert at the time.